Beginning in early May, the DPW crew will begin planting curb side trees. There is no cost to you to receive a new tree. Once your request is made, the DPW will inspect the site to ensure it can accommodate a new tree. Once completed, the site will be prepared and the new tree will be planted. It’s that simple. Instructions on the care and the maintenance of your new tree will be provided at the time of planting. 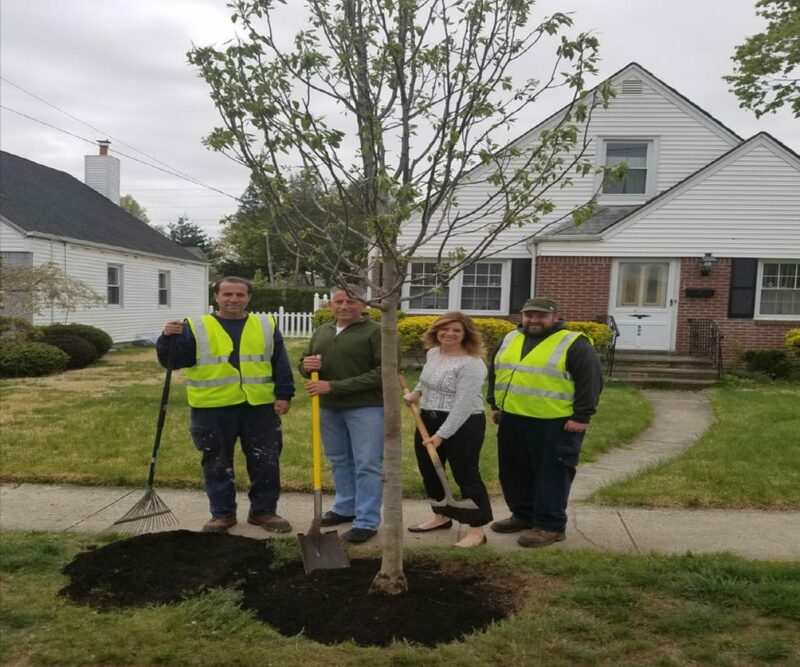 The Village Tree Committee is working to re-populate trees that have been lost over the past few years and restore the suburban landscape of the community. Please call the Dept. of Public Works at 354-0064 to request your new curb side tree or to suggest a location that needs a tree. In recognition of Arbor Day, members of the Beautification Committee and the Tree Committee will plant a new tree in the Village. Although the location has not been determined yet, the date has been confirmed for Saturday, April 28th. Please keep a watch for more details. If you want to be considered for a new curb-side tree, please call the Dept. of Public Works at 354-0064. A site inspection will be done prior to any planting to ensure that the ground is able to support a tree. Instructions on the care of your new tree will be provided at the time of planting. 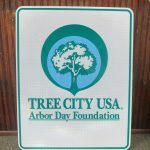 And additional information can also be found on the Arbor Day Foundation website at www.arborday.org. Trees are essential to maintain our environment and the suburban landscape of our community. We hope you take advantage of the tree planting program. 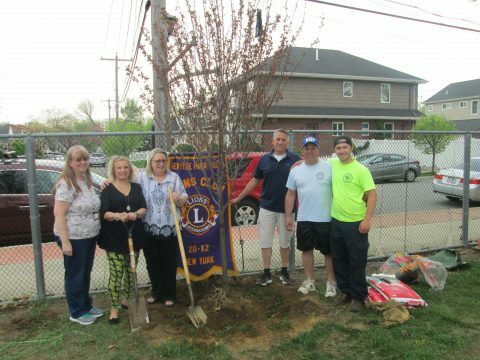 On Friday, May 4th, members of the NHP North Lady Lions Club, the Tree Committee, and Department of Public Works planted a new tree at the entrance to Memorial Park, on Lincoln Avenue. 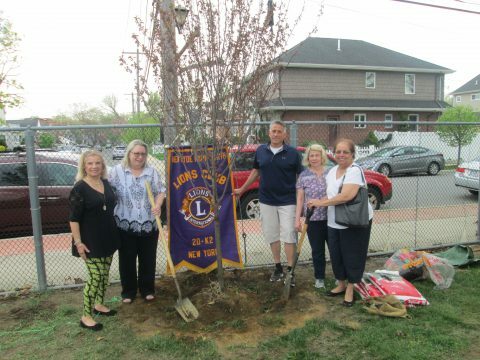 The NHP North Lady Lions Club generously donated a Thundercloud Flowering Plum Tree to celebrate Arbor Day 2018. Have you seen the new signage at the east and west entrances to the Village. These signs publically reinforce to others that the Village of New Hyde Park is a community that cares about the environment and the preservation of our suburban landscape. 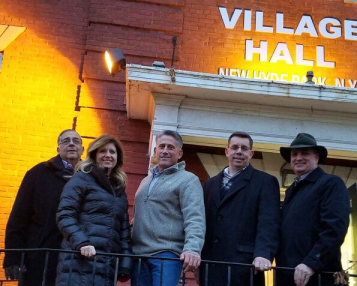 Last year, the Village Board and Tree Committee worked diligently to obtain Tree City USA designation for our Village. Receiving this designation is a big advance in our community forestry program. It also provides greater access to grant funds which will allow the Village to purchase more trees and enhance our overall tree program. 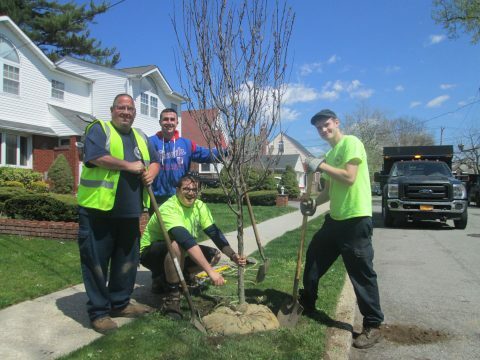 DPW members (from the left) Tom Kane; Nick Goncalves, Vinnie Concha; and Conner Corcoran prepare the site on Park Avenue before placing the new tree in the ground. Beautification Chairman Rich Pallisco and Tr. Donna Squicciarino with DPW team members Neil Attardi (left) and Rich Sharvin (right). This new Aristocrat Pear tree will add to the green landscape on Premier Blvd. Horticultural and Urban Forestry Expert Vincent Drzewucki from the Cornell University Cooperative Extension of Nassau County. 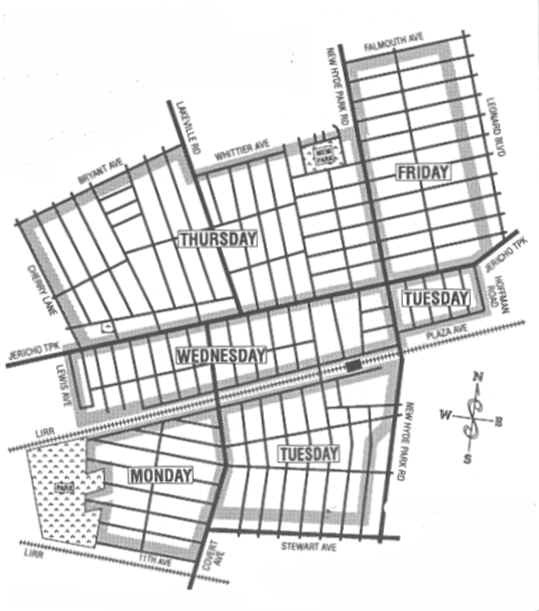 A new Committee was formed to help manage existing tree inventory, tree maintenance, and to re-populate the green space in the Village. 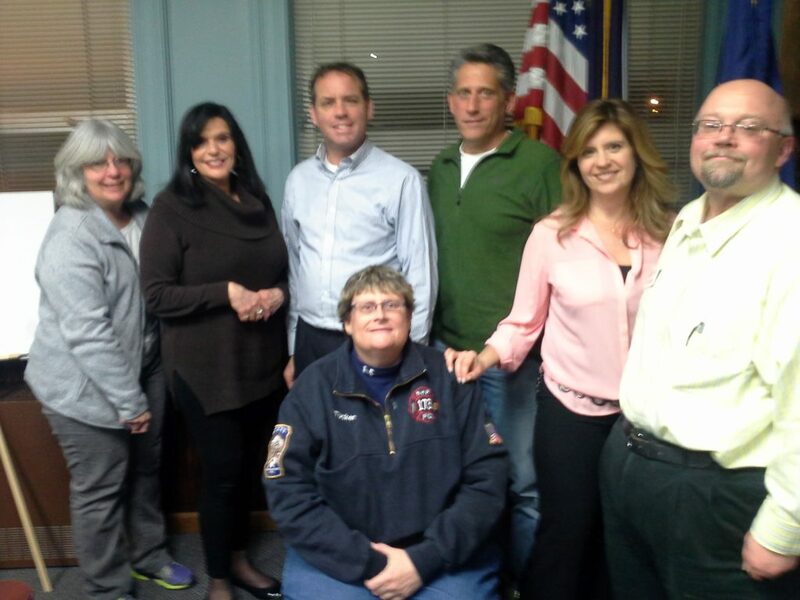 A number of volunteers have joined this exciting new endeavor and the Committee hopes that more residents volunteer. Members of the Tree Committee will research and select software to help the Village better manage its tree inventory and maintenance schedules. The Committee will also seek corporate sponsorship and/or donations for the purchase of new trees. 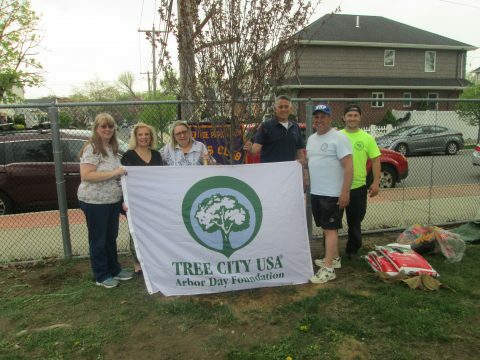 One of the goals of this team effort is to help the Village achieve a “Tree City USA” designation. We can use your help as we continuously try to enhance and manage the green space in the Village.